The termite infestation problems can be difficult to assess as many times the damages are hidden. The Triad team has extensive experience in working with other professionals including attorneys and engineers in these types of property losses. If you’ve discovered termite damages at your home or business, let the experts at Triad help guide you through this difficult process and ultimately get the repairs done correctly and efficiently. The Triad team will assess the extent of damages to create a full evaluation. We will conduct a visual inspection and may recommend some limited destructive testing to explore the damages. 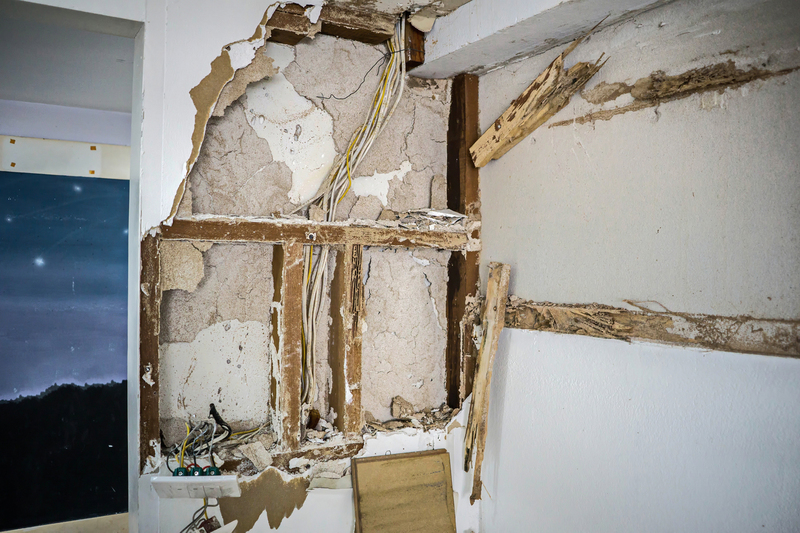 Once the full evaluation of damages has been determined, we will work with you on the restoration of your home or business.